The history of a passion. Of a great desire for progress: economic, productive and human. The history of the Cooperativa Ceramica d’Imola, Italy’s oldest work and production cooperative, began with these noble principles. 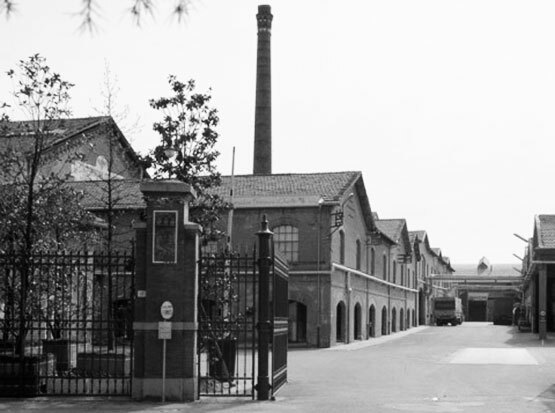 More than a century of ceramics tradition, characterised by the meeting of history and culture and culminating in 1874 with the passage to his employees – by Giuseppe Bucci – of the latter’s tableware and majolica factory as a contribution to the “progress of industry and economic improvement of the workers”. 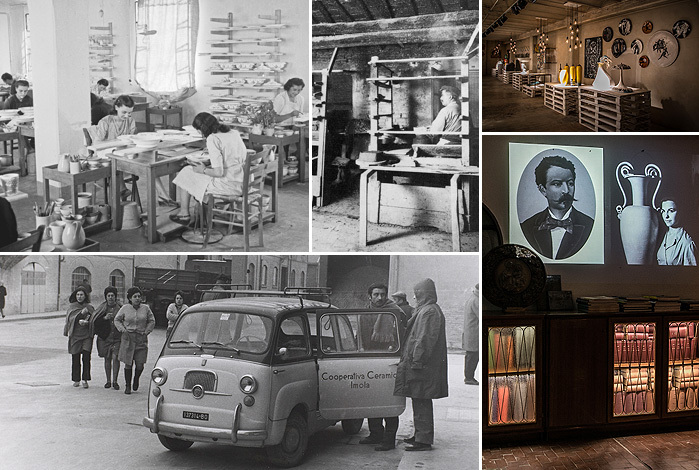 The same passion led, towards the end of the 19th century, to the opening of the artistic section and the Imola Company’s official debut on the international market. This was a result of participation at the Turin exhibition, at the behest of artistic director Gaetano Lodi. Material quality, the freshness of the colours and decorations, immediately became the trademark of a firm which entered the 20th century as a front line player, beginning the production of tiles as its primary activity. Historic avant-gardes, new aesthetic, craft and technological requirements were thus integrated to enrich the product range, leading to an inevitable extension of the premises: a late 19th century glassworks was converted, by means of a fine architectural rehabilitation project, into new ceramic production premises. It is still an example of industrial archaeology and currently houses the museum, the exhibition hall and the workshop. 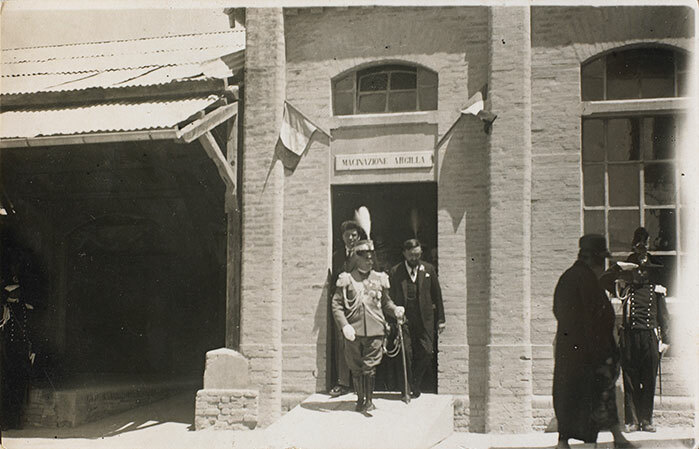 Safeguarding and promoting work and progress as the fundamental heritage of the individual the king of Italy Vittorio Emanuele III visited the Cooperativa Ceramica d’Imola, bearing witness – as many other public and art world figures would – to the Imola Company’s nationwide fame, a synonym over the following decades for artistic sensitivity masterfully blended with innovative entrepreneurial spirit. A spirit that distinguished the milestones passed from the early 90’s onwards, a period marked by other significant developments: the opening of new headquarters, blending tradition and innovation, and the acquisition of two new companies (i.c.f. in 1991 and leonardo 1502 in 1993). With the backup of a constantly increasing technological capacity Cooperativa Ceramica d’Imola reached the sector’s production peaks in the 2000’s, meeting the new needs of foreign markets and becoming, in very few years, an international reference point in high quality innovative ceramics: from traditional double-fired Cooperativa Ceramica d’Imola broadened its range to take in single fired and rapid double-fired, glazed porcelain grès and the most modern full thickness gres porcelain, right down to special pieces, decoration and third firing. Today new sophisticated solutions for the building industry are designed and produced on the premises, such as large sizes, but also solutions for the domestic, urban and industrial sectors. Innovative digital printing techniques (e.g. colour definition system) have been patented and applied. Environmental regulations are observed through certified quality management systems and new Ecological processes are set up. 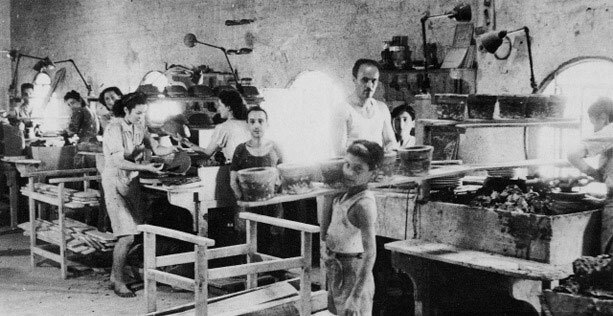 and still today, when it has become one of the sector’s great international groups – the actual signature of the most sophisticated made in italy worldwide – cooperativa ceramica d’imola draws inspiration from the same passion and the same philosophy: safeguarding and promoting work and progress as the fundamental heritage of the individual.